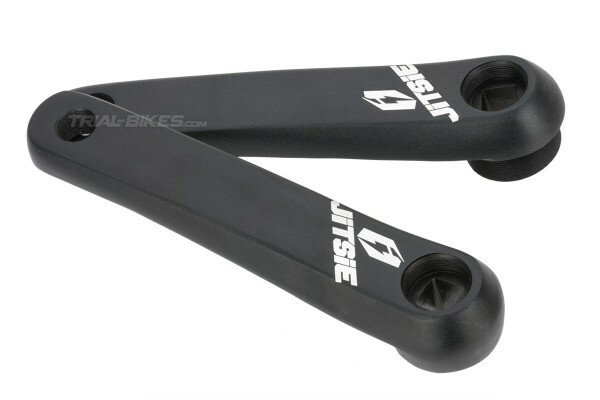 - New high quality ISIS cranks from Belgian brand Jitsie. 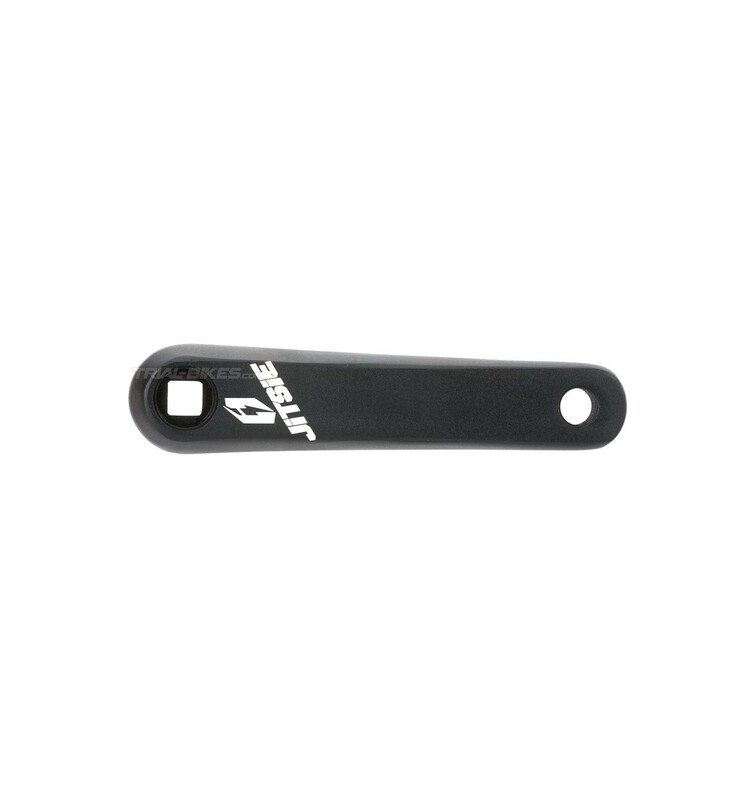 - Its 140mm length makes them ideal for entry level bikes. 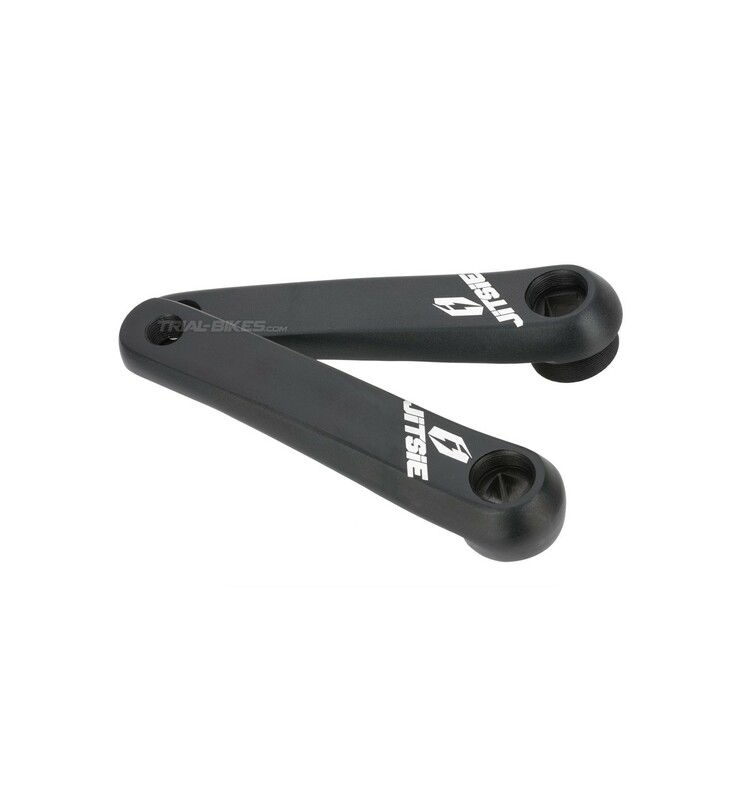 - Simple design ensures high strength and stiffness. - Made of high quality forged 7075-T6 aerospace aluminium alloy. - Standard 1.37”x 24tpi thread, suitable for most screw-on freewheels and sprockets. - Wide threaded section (13mm) allows you to run a bashring together with the freewheel/sprocket. 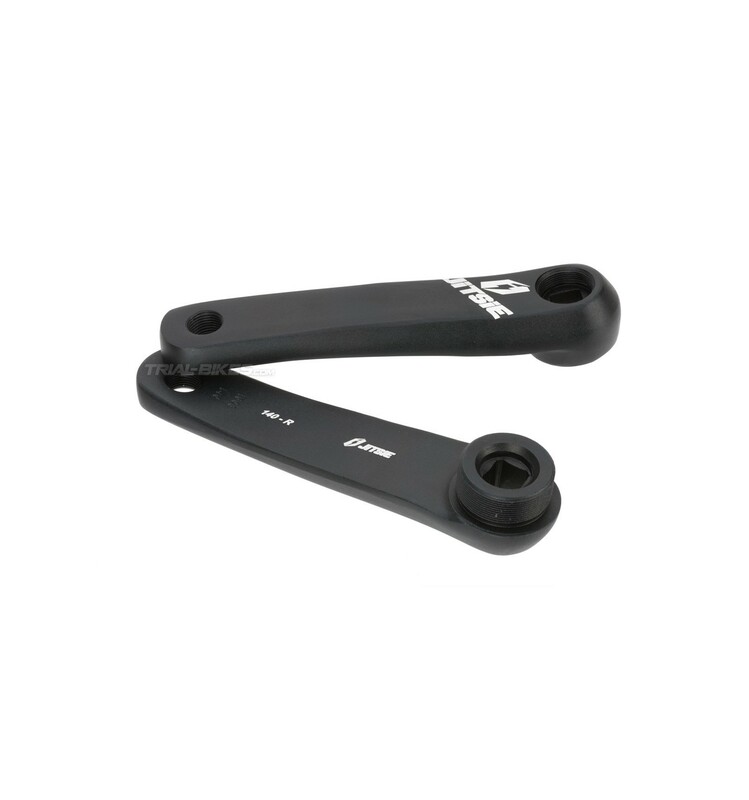 - 33mm offset provides enough clearance to avoid rubbing the stays or brake cylinders. - Available in 140mm version. - Square taper (JIS) bottom brackets. 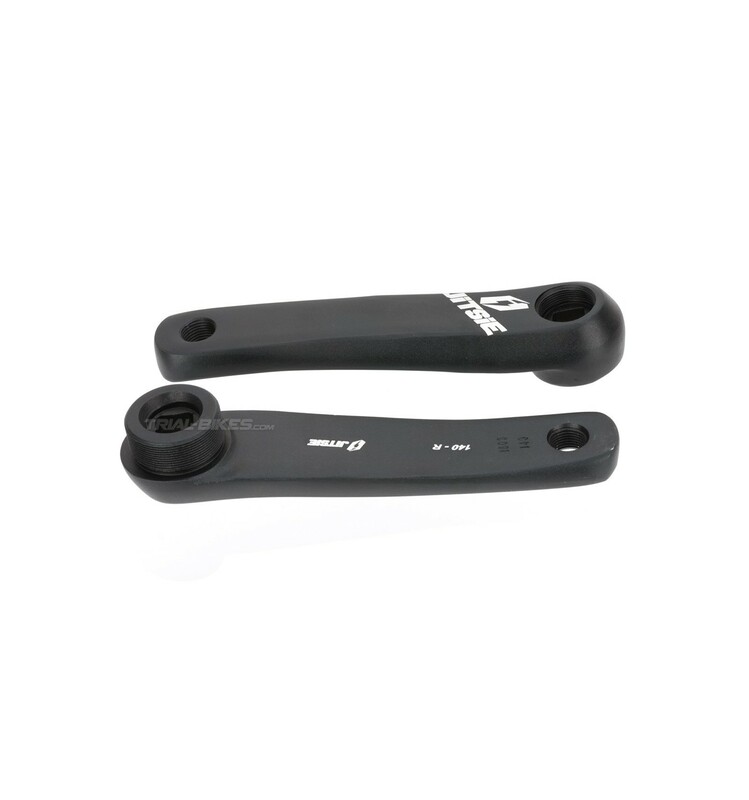 - Pedals with 9/16”x20tpi (14,25mm). - Sprockets or freewheels with standard 1.37”x24tpi threads (34.6-34.9mm). Important Note: Please bear in mind that there must be at least a 7mm thread in contact between freewheel and crank. Furthermore, a 1.37” freewheel/sprocket must be used with a maximum internal diameter of 33.8mm (and not the 1.375” ones). Not following these instructions may lead to thread damage (not covered under warranty).